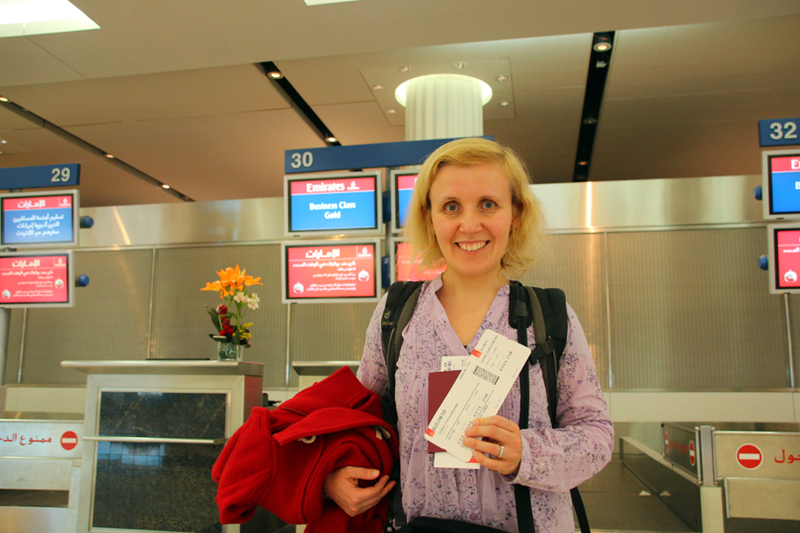 A while ago I got back home from my trip to the Middle Kingdom – what a stay! I spent one night and a wonderful day in Dubai before heading to Beijing. Wait, Dubai and Beijing? Again? Why is she always visiting Dubai and Beijing, you may ask. I have been to Dubai five and to Beijing four times before and I absolutely love both cities. 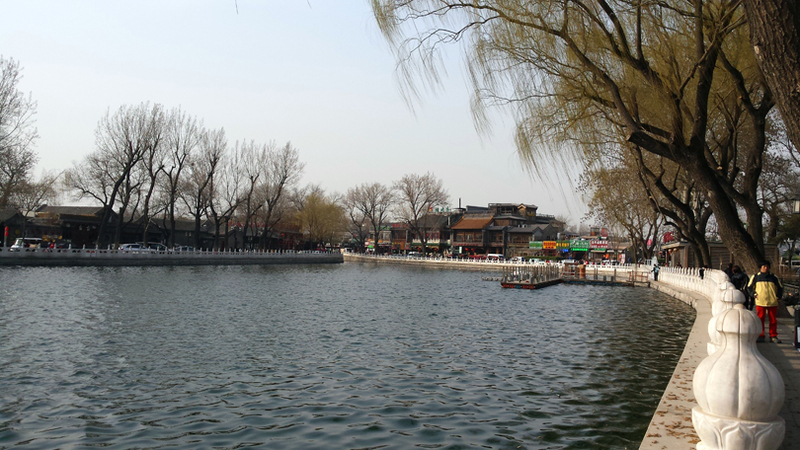 I hope to live and work in Beijing for a while, starting in late summer this year. And Dubai has always been a great place for a stopover for me ever since visiting the city the first time in October 2012. 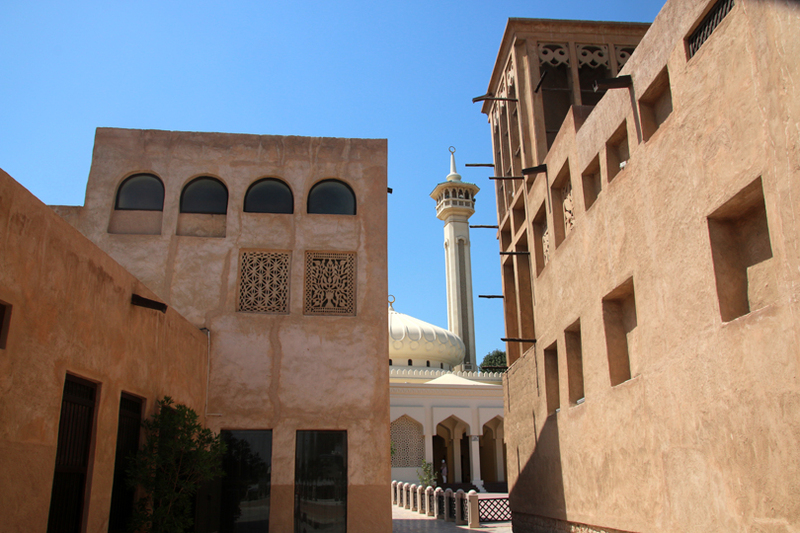 This time I attended a Heritage Tour through the Al Fahidi Historic District – one of the oldest Emirati districts along the Dubai Creek -, something which I had already planned to do during my previous visit last October. Our guide was absolutely fantastic and knowledgeable and led us into a few of the traditional houses, through the alleys and into the Diwan Mosque. The tour ended with a social gathering with Arabic coffee, tea and dates at the Sheikh Mohammed Centre for Cultural Understanding where we could ask further questions. While the day was all about exploring the traditional side of Dubai, I spent the evening in the Dubai Mall in Downtown Dubai, the very modern part of the city, before heading to the airport to catch my night flight to Beijing. Another great excuse for my trip the Middle Kingdom was that a greater portion of my Miles on Emirates would have expired in June. Different than I thought I couldn’t pay my flight with my Miles, but I could upgrade a section of it to Business Class already when making my booking and I opted for the Dubai to Beijing leg. I have flown Business Class three times before, but every time I was an Economy Class passenger who was randomly selected as the lucky winner and I don’t know why. This time I could enjoy the amenities from the very beginning. I got picked up from my hotel in Dubai with a limousine, I could use the Business Check-In counters, I had access to their Business Class Lounge at Dubai International Airport and I got pampered while being aboard the aircraft. It has been really nice. When I got back home, I was informed that I will get their Silver Card what means that for the next 14 months I can check in at their Business Class Counter in Frankfurt (into Economy Class, of course), I will have free access to their Business Class Lounge at Dubai Airport, I will earn 25 percent more Miles for every flight and that I will get special baggage tags. How nice! 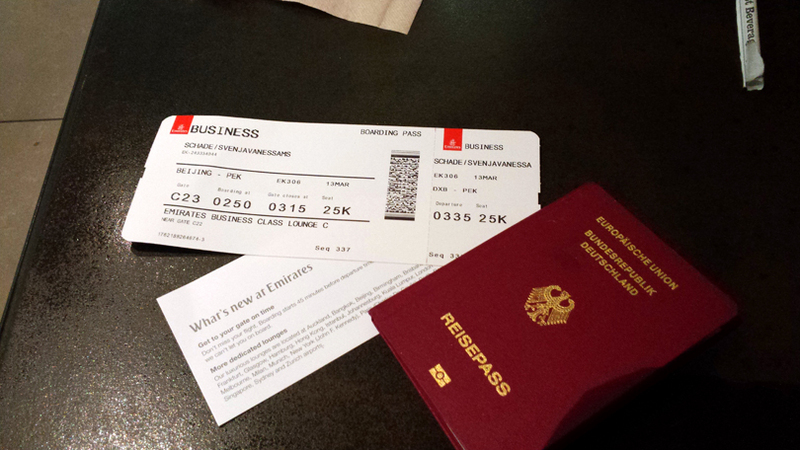 It has been a great experience to fly Business Class Flight with Emirates but I wouldn’t pay a high extra charge for it. 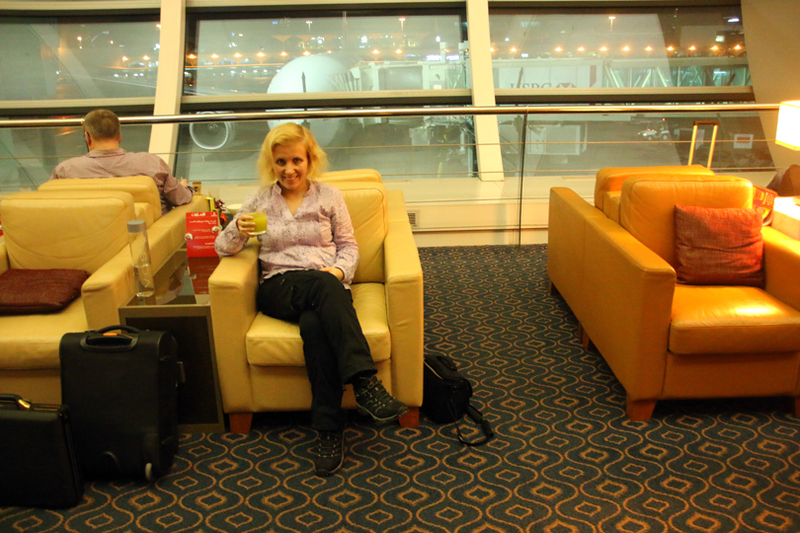 And I also highly enjoyed my three Economy Class flights with them on this trip. 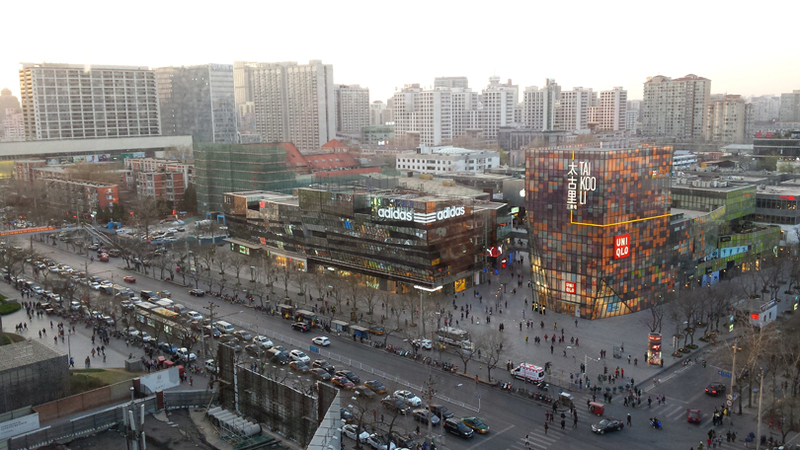 Another major reason for my trip to Beijing was that I wanted to meet my friends who live there. Short before I left home I was told that my american friend Mill who lives in China for several years had to be in the US while I was in Beijing so that we couldn’t meet this time. But I was really lucky to spend time with my local friend Leon. 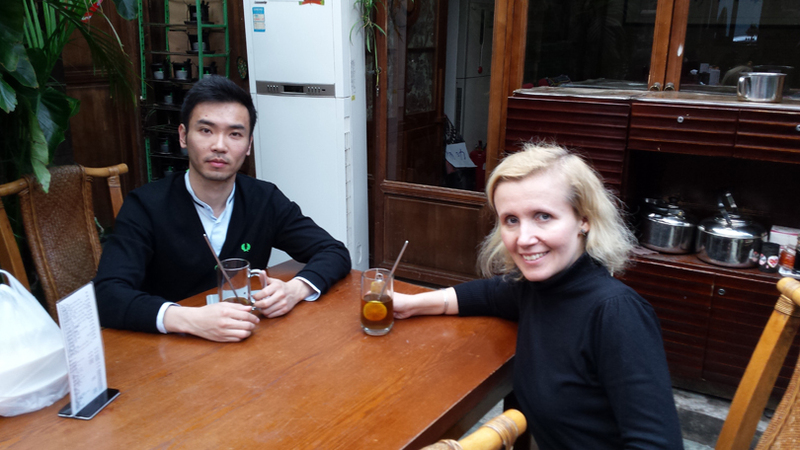 He introduced me into local life and cuisine in the Hutongs of Beijing and in the Shichahai area. Another day we had Beijing Hotpot. Recently we also had the chance to meet in Europe. Good talks and spending time with friends are very important for me. I couldn’t agree more to his statement that having friends in a place makes this city to a special place. Calling Leon and Mill friends means a lot to me. 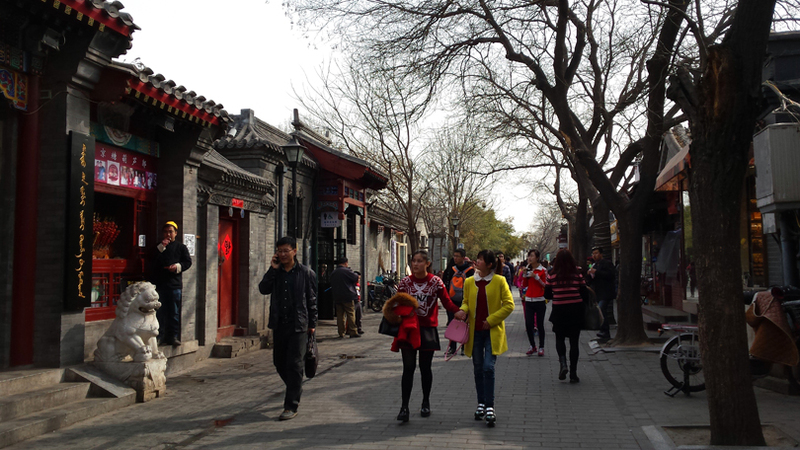 I also spent a lot of time in the Hutongs by myself as I absolutely love these old traditional quarters. 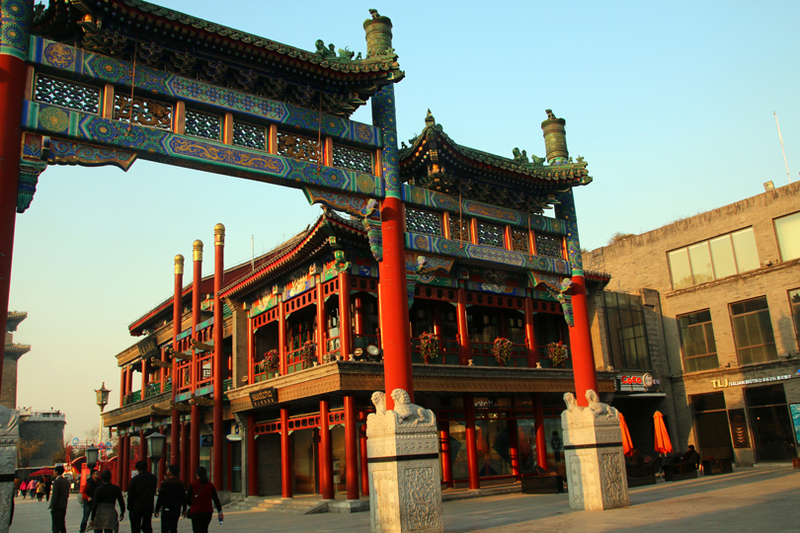 For me, they are the Soul of the Beijing and give the city a lot of its character. Apart from that I didn’t do as much sightseeing as I had intended to. I had planned to visit the White Dagoba Temple, also called Miaoying Temple, but when I got there I had to find out that it was closed, apparently due to renovation works. Instead I visited the Guangji Temple, a renowned buddhist Temple, which is also the headquarter of the Buddhist Association of China. After having explored one part of the Liulichang street last year in August, I wanted to see the other part as well, so I headed there on a sunny afternoon. This time I was apparently on the “right side” of the road; it was much nicer and offered more photo opportunities. 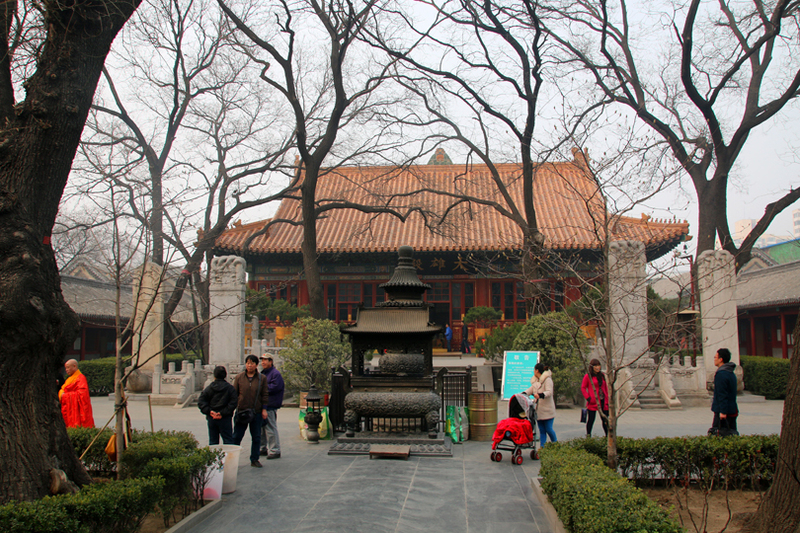 Although I have been to Beijing four times before I had never been to the Qianmen street before despite its proximity to Tiananmen Square and the Forbidden City, so I decided that it was time to finally get myself there. I spent an evening strolling through this famous pedestrian street and even though it’s a very touristy place I enjoyed it. After exploring the Mutianyu section of the Great Wall twice in 2013, wandering along the Gubeikou part together with my friend Mill in August 2014 and visiting the westernmost section of the Great Wall in Jiayuguan on my Silk Road of China trip in October 2014, I wanted to discover more of this impressive monument. 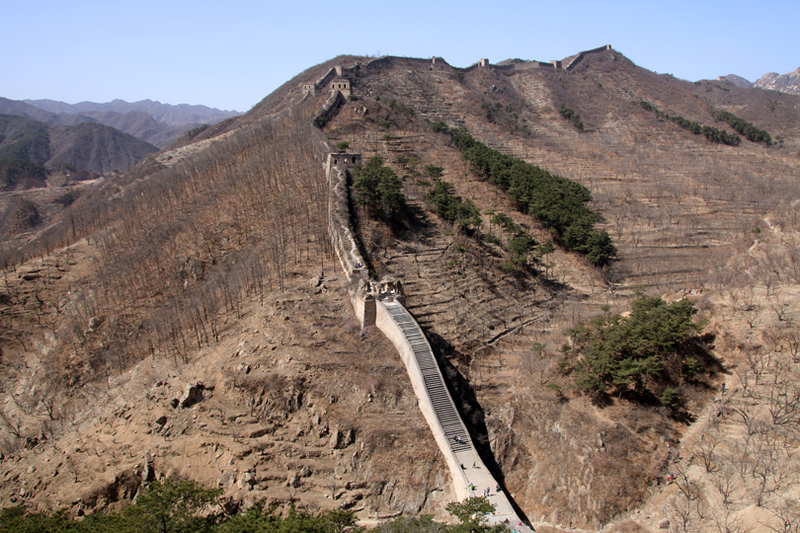 So I did a hiking tour from Zhuangdaokou to the Walled Village, about 80 kilometres northeast of Beijing. Starting at the famous “Dragon and Phoenix” pines of Zhuangdaokou we wandered to the Zhuangdaokou Great Wall where we had the chance to hike along both, a wild, unrestored and a restored part of the Great Wall. Later we continued onto Erdaoguan and explored a Walled Village. The trip finished with an included meal in a restaurant at the foot of the Huanghuacheng Great Wall. When travelling abroad I absolutely love to do Cooking classes because it gives me the possibility to learn how to prepare the local food at home by myself which I enjoyed before in the respective country. In the past I have done several Cooking classes in Chiang Mai and Bangkok in Thailand, Yangshuo and Beijing in China and in Hoi An in Vietnam. Since travelling through Sichuan Province twice in 2013 I absolutely fell in love with the tasty delicacies of this region and ever since I wanted to learn how prepare a few of the dishes by myself. 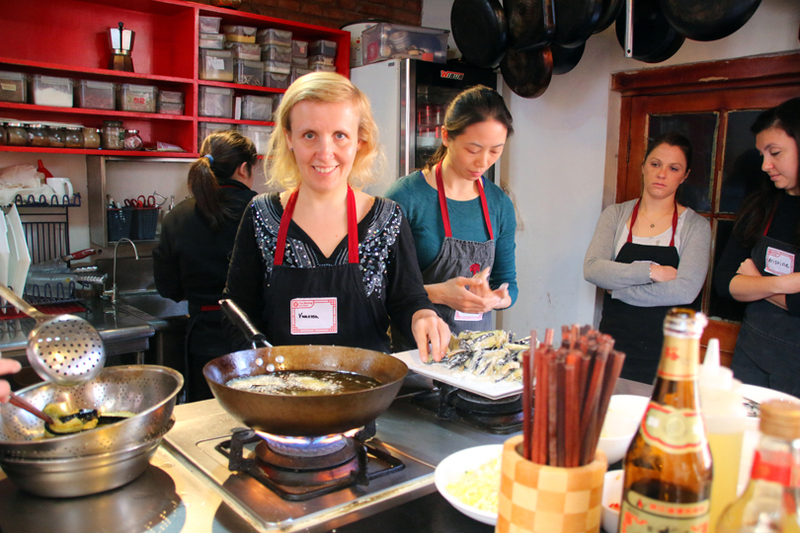 During my stay in Beijing I had the chance to attend a Sichuan Cooking class where I learned how to prepare deep fried Chicken with dried Chili and Sichuan Pepper, fried Eggplants Sichuan style and a purple Cabbage salad. 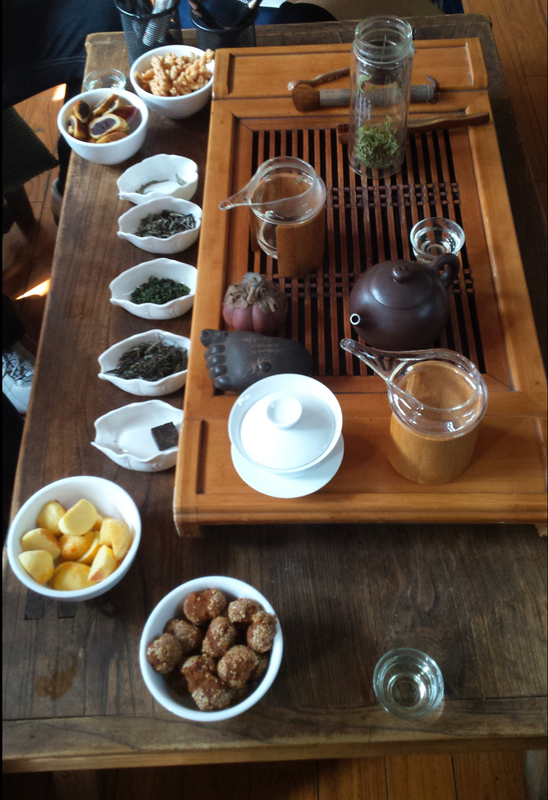 After having had the chance to join a tea ceremony in Dali in Yunnan Province in October 2013, I had always hoped to get this possiblity again, so when the chance came again this time, I participated in a Tea Tasting in Beijing where we were introduced into the six different of categories of tea according to their colour and making process. I got the chance to taste Dragon Well, White Peony, Iron Goddess of Mercy, Yunnan Dian Hong and Roasted Pu’er tea and I learned a lot about these teas, their histories and their effects. As my frequent readers know I would like to learn Mandarin. Therefor I got in touch with a language school in Beijing a few months ago which was recommended to me by other people who had learned the language there. The communication with my contact person has been very positive so I decided to go there when in Beijing to see how the school is like. I really liked the premises and the atmosphere and found the staff very nice and helpful. They offered my a free Trial Lesson which I took. I was assigned in a class of eight students who have already had a few Mandarin lessons. The teacher involved me into the class right away and practiced a lot of pronunciation with us. Since the others knew the vocabulary already I was sometimes asking myself what I was just saying. But apparently my pronunciation wasn’t too bad because the teacher praised me several times. I hope to do a Mandarin class soon and I can imagine to do it at this school, but I would definitely choose a class which starts from the very beginning because I imagine that Mandarin will be much harder to learn for me than English, French, Spanish and Italian were. On my last “real” evening I was lucky to stumble into the closing party of the Beijing Bookworm, one of my favourite places in Beijing. Since I know a few people there I was involved right away. They had a life band and the atmosphere was absolutely gorgeous. Before heading to the airport 24 hours later, I spent my very last evening strolling through the Wangfujing Road and the Dongangmen Snack Market. I had been there twice before, but when I came there for the first time it was almost closing time, and my second visit was during the daytime, so both times there was not much life there. This time I experienced a lively and vibrant atmosphere, so it has been the perfect final of my stay. I had a good flight home except of the landing in Frankfurt which was the most stormy landing of my entire life. On the day I got back hurricane Niklas, one of the worst hurricanes of the last decades on our continent, swept across Europe. We had a lot of turbulences during the flight from Dubai to Frankfurt, but it was worst during the landing approach.When the aircraft was almost on the ground, it was so bad that the flight captain had to overshoot and pull the aircraft up again. But he did a great job, informed us constantly and landed the plane safely at the second attempt. A few days before flying home I dropped my Smartphone into a water basin, by mistake, of course. While it died immediately pretty much right away and didn’t work for the next 20 hours, it restarted working then. Everything seemed to be fine, but as time went by it had more and more breakdowns. After two weeks it seemed to stop working completely so that I was forced to buy a new one. Since I have been happy with my phone till my mishap I just bought the same one again. I will be attending TBEX Europe at the Costa Brava, my first Travel Blogger Conference and I am very excited and looking forward to it. I will be flying to Barcelona on the 29th April and spend one night there before heading to Lloret de Mar where the Conference takes place. Although I have read Jessica’s latest article I feel pretty much unprepared. Different from other Travel Bloggers I am not blogging while being on the road, because I am not a full-time Traveller and Blogger, but only travelling and blogging part-time. That’s why I want to enjoy my time abroad to the fullest instead of spending several hours in front of my laptop in a hotel room far away from home. 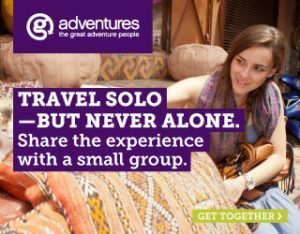 Also I am not blogging as frequently as most of the other Travel Bloggers, but I hope to get some valuable and helpful tips and advices through the sessions at the conferences but also from others who are a lot more experienced in this field than I am. And I am most looking forward to meet other Bloggers in person and have a good time. Did you like this post? Then please leave a comment below and follow me along on Facebook, Twitter and Instagram or subscribe via E-Mail. 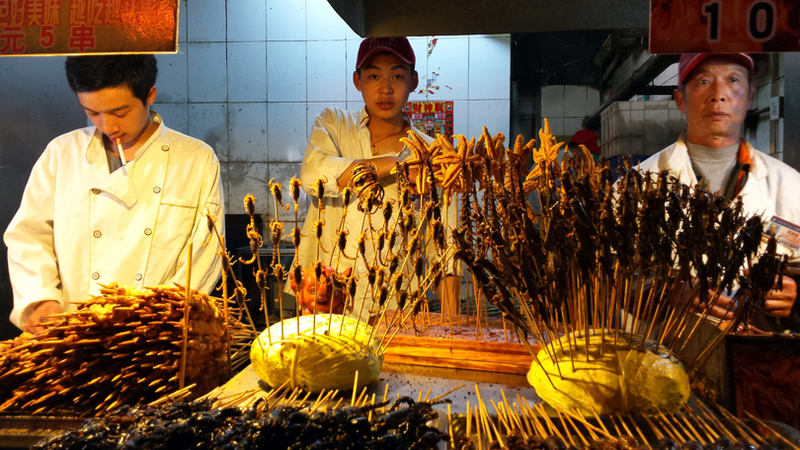 Would you like to learn chinese cooking in the Hutongs of Beijing? Then shoot me an email to travellingcolognian[at]hotmail.com. I love reading about your adventures Vanessa. I’ve only been to Hong Kong and not “proper” China…..yet! Well done for flying Business Class as it’s so much more relaxing. I’ve only flown First Class once and it was pretty random and also like 15 years ago! I still have the menu LOL! Awww, I knew I forgot something, I didn’t take the menu of my Business Class flight! But instead I took lots of photos, so that’s a nice compensation. Hongkong is amazing, although different than China. It was nice to meet you in person at TBEX at the Costa Brava, Victoria, and I hope, that we’ll meet again either at TBEX Asia in Bangkok in October this year or at TBEX Europe in Stockholm in July 2016. Or maybe I’ll see you in the Middle Kingdom?